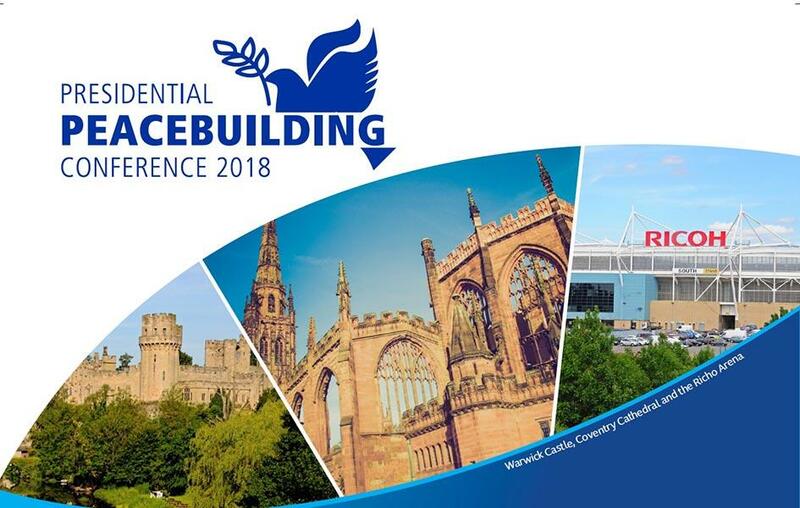 RI President Ian Riseley invites you to join him at the 2018 Presidential Peacebuilding Conference in Coventry. Two of our District Scholar Alumni will be speaking! There will also be and opportunity to attend 2 Evening Dinners (Friday and Saturday) with additional speakers and enjoy a choice of 2 tours round Historic Coventry and the surrounding area on Sunday. Here you will find an impressive range of distinguished speakers who specialise in Peacebuilding and Disease Prevention & Treatment as well as leading Rotarians spearheading initiatives in these Areas of Focus. A Youth Speaks winner is one of the speakers and the break-out discussion groups include special sessions for young people, so please encourage / enable your Interactors and Rotaractors to attend. A most generous anonymous benefactor has pledged a significant four figure donation to the Rotary Foundation Annual Fund on D1090's behalf if we can achieve a representative from each of our clubs! An additional sum is pledged if we can send a representative from each of our 'Young Rotary' clubs!!! This will mean we can achieve so much more with our Global Grant projects.